Habitat loss and fragmentation can reduce species diversity, but few people tend to think about the potential risks to humans as we venture into these wild lands. Kiwi researchers show that as we encroach on biodiversity hotspots, we also expose ourselves to new infectious diseases from wildlife, with strong evidence suggesting the Ebola virus emerged this way. They find that it's possible to identify high-risk areas where new diseases might emerge and lay out land-use strategies that can reduce this risk while still conserving biodiversity. Funder: The authors received no funding for this study. A Massey University team has developed new ways of predicting disease-hot spots, created by humans changing the environment, to help identify where and how society can mitigate the risk of infectious disease emergence, such as Ebola Virus Disease in Africa. 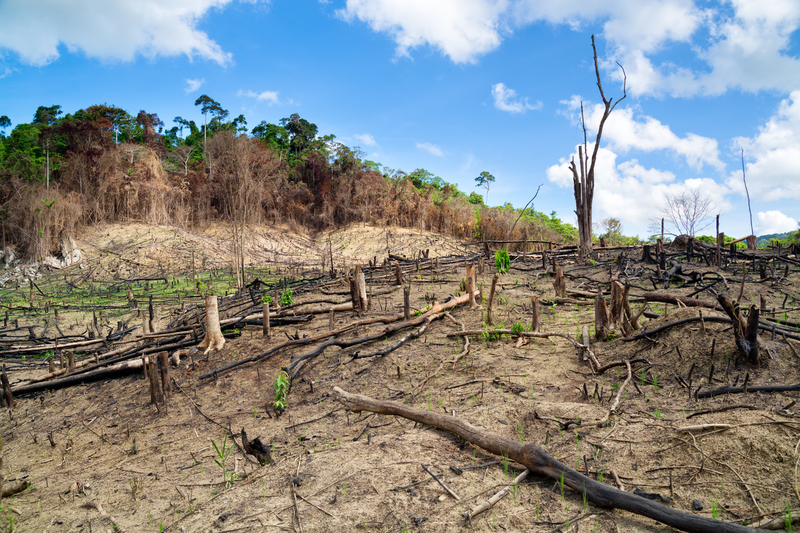 The paper, Habitat fragmentation, biodiversity loss and the risk of novel infectious disease emergence, details the development of a model to identify how changes to habitats, such as forest fragmentation and loss, may increase the risk of disease emergence. The team applied their model to the tropical forests of Africa and it identifies several areas of high-risk for disease emergence. The results can be used to guide on the ground researchers’ efforts investigating potential hotspots of disease emergence and help managers understand how habitats can best be protected. The model suggests that the implementation of smaller-scale land-use strategies linked with conservation efforts may help to improve the overall burden from emerging infectious disease. Co-author, Associate Professor David Hayman says the model could be extremely useful to scientists and governments. “As human populations continue to expand into habitats, we propose that such general frameworks are essential for policy makers because they provide clear guiding principles that enable common ground to be established between species conservation and novel disease emergence risk mitigation. If the results can be implemented through policy and habitat management changes, they may provide a win-win situation of reducing the likelihood of future outbreaks of viruses in humans and maintaining biodiversity. Dr Jonathan Marshall, the lead mathematician on the project says, “developing a relatively simple model that made such interesting predictions that captured real world situations was a real highlight of this project’.